Derived from a deciduous, leafy forest tree found in the Middle East, frankincense oil is used for both mental and physical benefits. 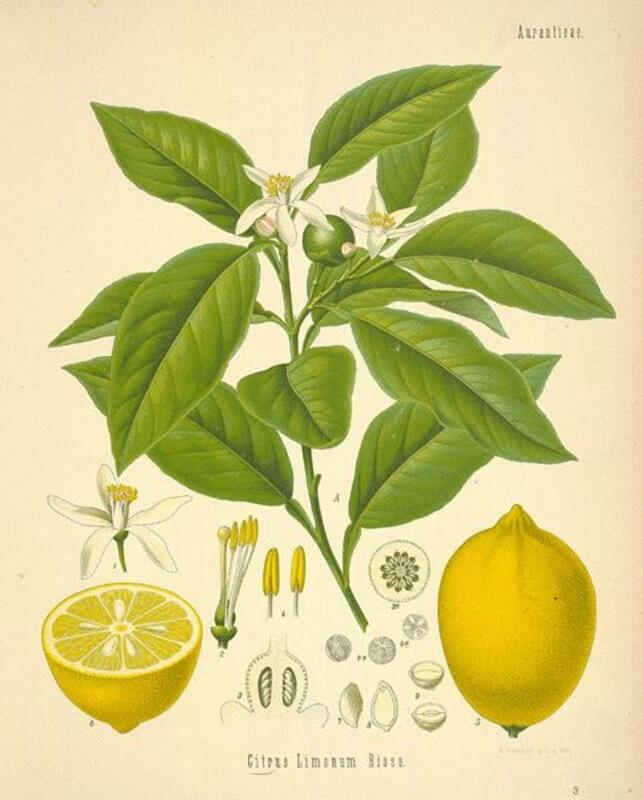 It has a rich, sensual fragrance, and is used in many aromatherapy products. While frankincense is part of the larger Boswellia Carteri species, the linguistic origin of the word "frankincense" is traced back to the French language, specifically, the langue d'oc. Frankincense is often best known for its historical appreciations; most notably, the Wise Men offered frankincense to Jesus after his birth, as the frankincense herb was considered to be of great value and quality - a gift fit for a King. 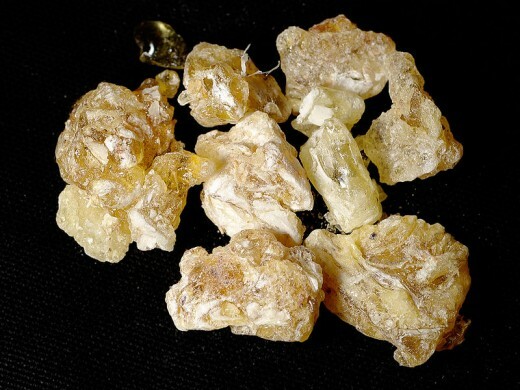 Large lumps of frankincense resin from the Yemen. Photo is in the public domain. Historically, in addition to Jewish use of the plant, frankincense was also used in its gum-like state by the ancient Egyptians. In fact, this was the first form of gum that people used as incense. According to archeological research, the ancient Egyptians used the frankincense plant oil to rejuvenate their faces, applying the gum like a facial mask. Other occasions called for the use of frankincense in order to fumigate those who were ill. 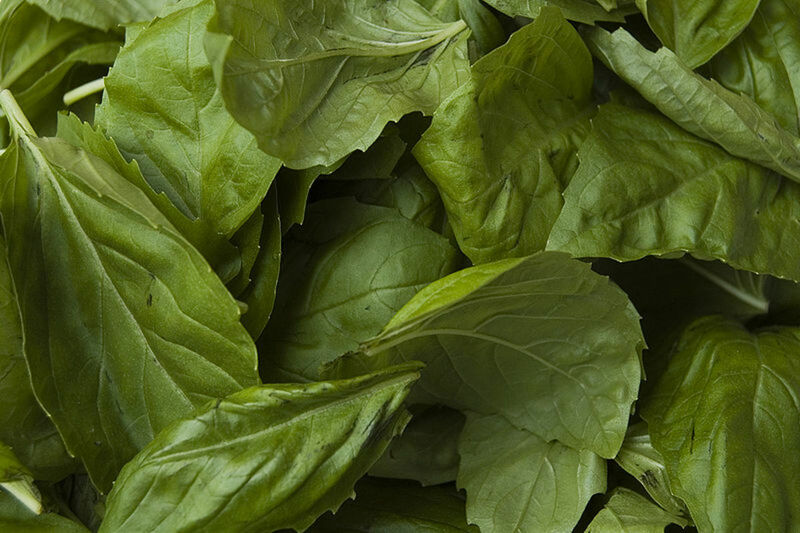 Adding to facial rejuvenation benefits, many Egyptians would use the oil as a form of eye makeup, perfume, and even as a warming agent during colder seasons. In addition, many ancient cultures used frankincense for religious purposes. The ancient Egyptians, for example, used frankincense as an offering to the Gods for religious ceremonies or during prayer. Aligning with the Egyptian culture's spiritual use of frankincense, it was also used in an effort to eradicate evil spirits. For ceremonial purposes, Jews also used frankincense for a variety of offerings and religious practices. In fact, researchers believe that frankincense, along with other gifts, was presented every Sabbath in the First and Second Temples in Jerusalem before they were destroyed. Even the Greeks used frankincense for religious purposes, and the Romans extended the use of frankincense herb oils to enhance special secular occasions as well as religious ceremonies. Originating from Africa, India and the Middle East, frankincense oil has been found to have many medicinal benefits. Now, an enriched extract of the Somalian Frankincense herb Boswellia carteri has been shown to kill off bladder cancer cells. 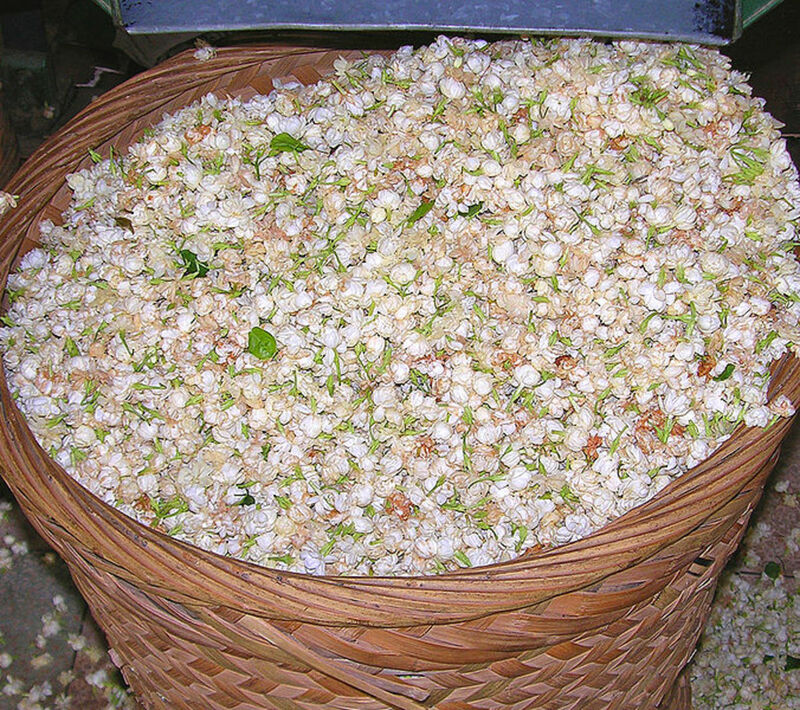 As the oil is obtained from the Boswellia Thurifera tree, harvesters of the frankincense plants must make a deep incision in the trunk of the tree, at which point a white / cloudy liquid is released from the trunk's inner confines. As the liquid touches the air, its colour changes to a deep yellow, and the consistency of the liquid becomes harder. 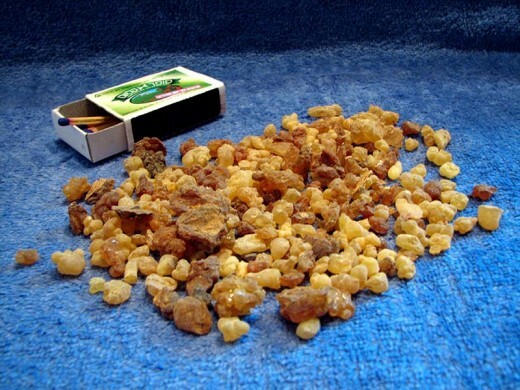 Once harvested, frankincense is then used in the form of a gum (for creating / strengthening materials), incense, or as an essential healing and wellness oil. People continue to find benefits from the use of frankincense oil today. One of the most popular uses of frankincense involves the practice of aromatherapy - it's a luxurious and special ingredient in some aromatherapy products. As the compounds in frankincense essential oil provide the body and mind with a calming influence, frankincense is often used to help alleviate stress, anxiety, and worry. When the frankincense herb is inhaled with the correct use of aromatherapy practices, people are often able to gain a stronger sense of inner peace and harmony. The fragrence of frankincense oil is wonderful. I have some in my collection or aromatherapy oils, and adding some to bathwater or skin cream is a real treat. Aromatherapy products targeted at aging and dry skin often contain frankincense oil, sometimes mixed with rose water, rose oil, and similar oils. Small lumps of frankincense resin. These can be turned into oil, incense, or used as they are. Photo in the public domain. 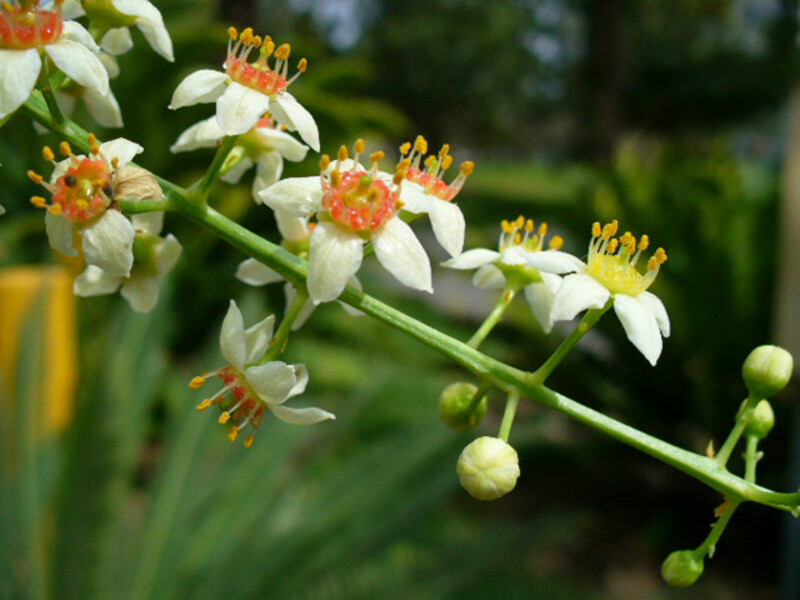 "this ancient medicine may have significant modern uses for chemotherapy"
Adding to the soothing frankincense benefits, the oil is also used to alleviate pain associated with breathing conditions, especially with respiratory infections. To focus on breathing benefits, it is recommended that individuals suffering from bronchitis or respiratory medical complaints inhale a combination of frankincense and water through the form of a steam / vaporizer. This treatment should also help reduce pain and issues related to laryngitis. Adding to this, many individuals use frankincense plant oil as an anodyne for pain when coping with a urinary tract infection, rheumatism, and / or muscle aches. When the frankincense essential oil is applied safely to the skin, the plant releases warm and soothing healing benefits. Mental stimulant / mood elevator. When used correctly, frankincense oil should pose little to no threat on one's wellbeing; however, frankincense should not be consumed or ingested. It is for external use only, don't drink it! To enjoy the benefits, people can simply use a frankincense incense / aromatherapy method. In addition, a safe amount of frankincense oil can be applied directly to the skin. Through trans-dermal absorption, the body will be able to take in the healing powers of frankincense without having to actually ingest any of the compounds. To ensure that one is not allergic to the oil, simply apply a small amount of the oil to a tiny area of the skin. Wait approximately 24 hours to ensure that your skin is not irritated or altered. can I eat small amount of it every day for my memory. Hi Plants and Oils, nice hub on frankincense. I'd like to note, that therapeutic grade, organic frankincense essential can and has been consumed internally for many health problems, the most serious being cancer. It is been researched for this particular use currently. You can read more about this here. I'm sorry, I've no idea where you can buy a tree. It needs a mediterraean climate, though. where can I order a Frankincense tree? Can anyone tell me how to make Frankincense water? Thanks Sarah m Marie! I'm glad you liked it. Turner, glad you liked it. Frankincense was at the time of Jesus' birth a valuable and valued gift, fit for a baby King. I loved your hub. It is very interesting and informative and the subject is one close to my own interests. Very well written! Thank you for sharing your knowledge. Plants and oils,, a wonderful hub. Different and I now know much more about what the wise men were doing for baby Jesus. Thank you very much. God bless and keep us posted on more plants and oils histories. I agree, the fragrance is wonderful. I adore frankincense, the scent is so sensual and warm. Thanks Genmil, glad you found it interesitng. I love the natural aroma of plants. Thanks for sharing an interesting hub. Glad you liked the hub. It's a wonderful scent, isn't it? I like your hub and I love frankincense. We use it at our church. 1. I am not marketing anything. 2. "there is no scientific or medical data to support your claims" did you not read ANY of the links above to the extensive research into frankincense, in relation to arthritis, cancer, bladder cancer, and depression? If you didn't, read them. If you did, why say there is no data? 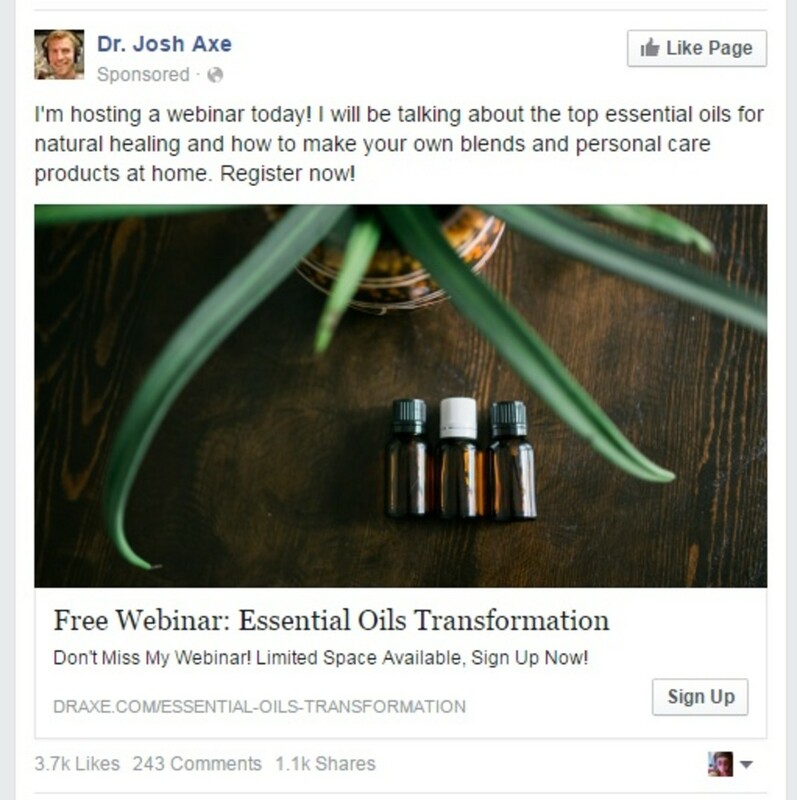 Hi, I love the idea of using scents to help my emotional state...but to market these oils as actually helping anyone's health is a great disservice to your fellow man when there is no scientific or medical data to support your claims. Hi Susana, it's one of my favourites, too. Nice hub! I love frankincense oil. It's one of my must have oils in my kit. I've used it before to help my children to sleep....magic! I'm sure you won't regret it! Thank you, a very interesting hub and you have convinced me to try Frankincense. Barbara, which oils in particular are you most keen on? Hi Samack, I agree with you. People have enjoyed the wonders and scent of frankincense for centuries, and still benefit from it today. www.barbaraballas.com These oils have changed my live and saved me soooo much money on medications. It is very interesting how some things last over time. The benefits to our lives don't change over time. Thank you for this presentation. Very nicely done! Glad you like it. Natural herbs and oils are wonderful in general, and frankincense has a gorgeous scent in particular. 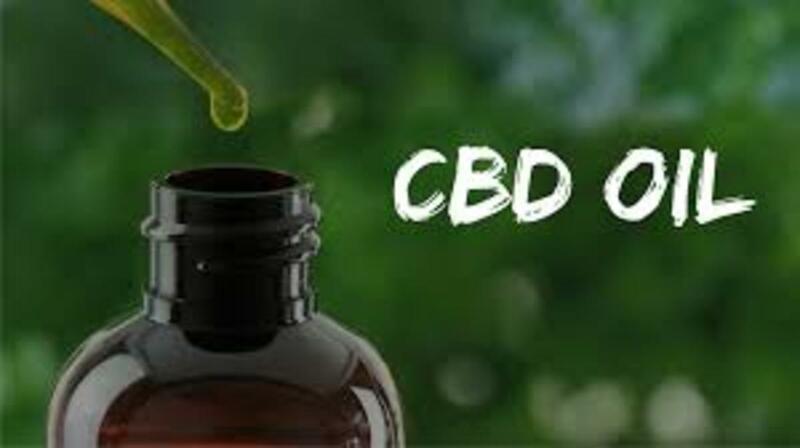 Very interesting Plants and Oils. I am just learning about herbal remedies and I find it so important to look for natural ways to heal and relax both physically and mentally. Thanks, I am going to find time to read through your other hubs on this subject. Thanks, glad you found it interesting. Dear P&O, Great hub! I love to add scents to our bedroom at night it is very relaxing. Good job. Peace. I'm glad you all like it - it's an absolutely wonderful plant, and the scent is sensuous and rich. It's easy to understand why the Wise Men thought it a gift fit for a baby King. Excellent! I have not heard too much about frankincense and didn't realize it had so many benefits. Very, very informative!!! You hear and read so much about other oils and many herbs, but never get the lowdown on frankincense... thanks for sharing this info and helping us to understand it's many uses!! Nice hub! Opps, for some reason this comment posted twice, and I don't have the option to delete...thus, I am changing my comment on this one (the second/duplicate comment) so you will understand why there are two comments from me...lol...crazy cyberworld!!!!!! Another fascinating, fact-filled hub! I had no idea frankincense was essentially...pun intended...the hardened sap of a tree. Obviously ancient cultures knew more about the benefits of plants and their uses than we give them credit for. Plants - I knew of the mood lifting properties but not the rest. A member of my family is big on aromatherapy so I hear the odd fact. It's actually a huge alternative health sector, from what I can gather. Informative, interesting and well written, thanks! Making perfume sounds wonderful! I once visited a perfumary in Grasse, in the south of France, and it was a wonderful experience. I also love frankincense, it's a wonderful scent. I’m a perfume maker (one of my hobbies) so I found this article wonderfully interesting. Often if I am feeling down, I dab a bit of frankincense and a mixture of other oils on my neck-or on my forehead – and around my nose. It really does cheer me up and somehow I feel a euphoric buzz from it, and it feels like something spiritual happens... I loved this hub… beautiful use of the hub site- educational! After this one I am following you! It has the most wonderful scent, very rich. Myrrh is on my list! This is very interesting! I had no idea where or how frankincense was harvested. I also have no idea what it smells like. Now you have peeked my curiosity. Are you going to do a hub about myrrh also? Just looked it up and it also comes from a tree.